It’s Wednesday folks. Congratulations! You’ve made it to hump day. 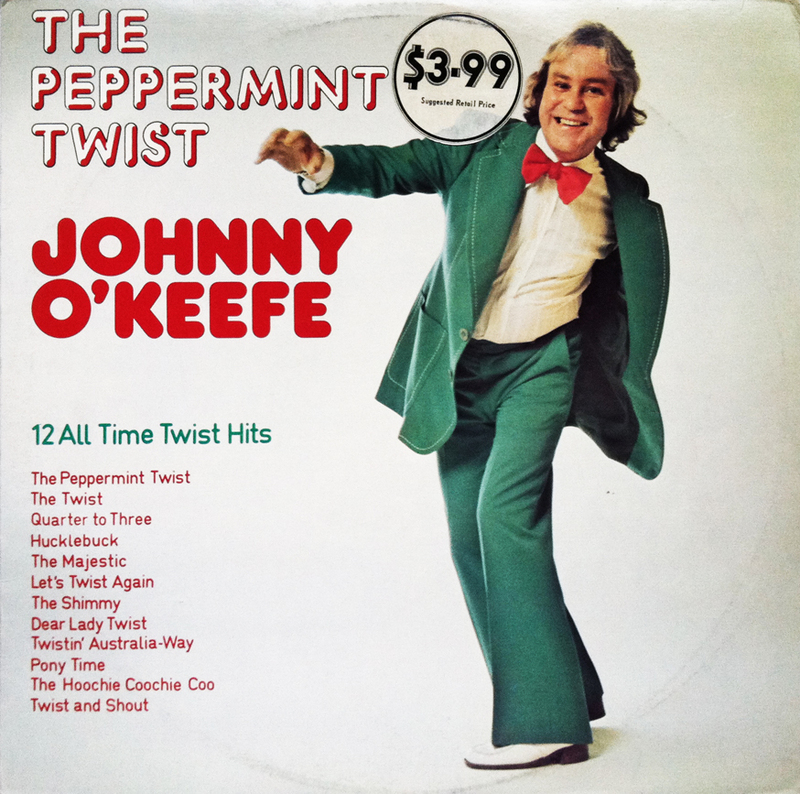 Why not celebrate with The Peppermint Twist? What’s that? You don’t like peppermint? Too sweet, huh? Trying to cut back on your calorie intake? I understand. Then why not indulge your twisting senses with The Shimmy, or the elusive Quarter to Three? Feeling spry from that 7th cup of coffee? Then The Hoochie Coochie Coo is certainly right for you. Angry but still fill the need to multitask? Why not let it out with the Twist and Shout? Do you have a crush on the mail courier but are too shy to read your hastily written love letter? Then how could you resist the Dear Lady Twist? The Surgeon General says that twisting at least 10 minutes per day will actually help to reduce those unwanted, and often awkward moments of spontaneous narcolepsy, and studies have shown that twisticizing (or practicing SLIMNASTICS) 3-4 days a week will help prevent Restless Leg Syndrome. My favorite is a little hidden bender called The Time Travel Twist. 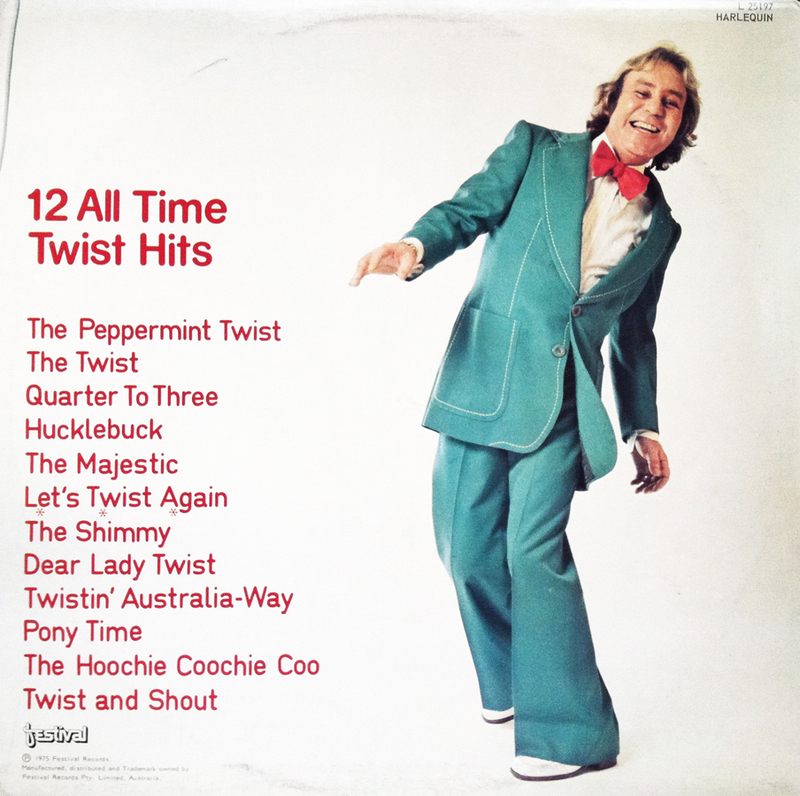 You won’t find it amongst the 12 All Time Twist Hits, and it requires a bit of detective work, but I’ll break it down for you. It’s simple, really. The Time Travel Twist is that little side-to-side you do after you remove the 1975 sleeve to unveil the 1962 record within. EVERYBODY NOW! THE TIME TRAVEL TWIST-TWIST! TWIST! THE TIME TRAVEL TWIST! I’m serious, folks. Treat yourself to a twist now and again. You’ve earned it!